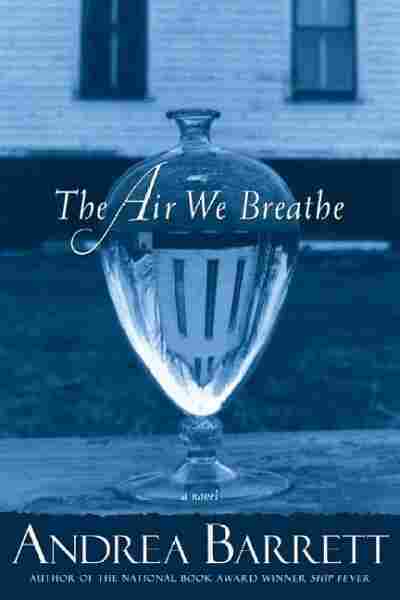 Disease, Politics Permeate 'The Air We Breathe' Once a biology student, Andrea Barrett now weaves science through her fiction. 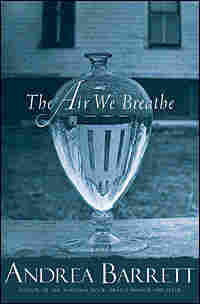 In The Air We Breathe, Barrett writes about poor immigrants at a tuberculosis sanatorium in the Adirondacks on the eve of World War I.
Andrea Barrett, who was once a biology student, is the author of The Air We Breathe, set in 1916 at a state-run sanatorium for tuberculosis patients. Read an excerpt in which tuberculosis patient Leo Marburg arrives at the upstate New York sanatorium. As this reading begins, Marburg has had a strangely romantic experience: having his lungs X-rayed by a woman who has caught his eye. Once a biology student, Andrea Barrett now weaves science through her writing, in stories about an Arctic expedition, a typhus epidemic and, in her latest novel, about tuberculosis. The book, titled The Air We Breathe, begins in 1916 when the United States is on the brink of entering World War I. It takes place at a sanatorium in the bracing air of the Adirondacks, where poor, immigrant tuberculosis patients are sent for a rest cure. "Infectious disease exists at this intersection between real science, medicine, public health, social policy and human conflict," Barrett tells Melissa Block. "There's a tendency of people to try and make a group out of those who have the disease. It makes people who don't have the disease feel safer, so I think it's that moment that really interests me," she says. Barrett explores more than just the treatment of disease. At the time, wealthy tuberculosis patients lived in small cottages, while indigent and often immigrant patients were treated at large institutions, such as the one at the center of the story. A wave of war and anti-immigrant hysteria flared up in the United States before it entered World War I. Barrett also examines how the patients at the sanatorium do or do not take action against the growing hysteria — and draws comparisons between the U.S. after the attacks of Sept. 11, 2001. When this excerpt begins, it is 1916 and Leo Marburg has recently arrived from New York City at a state-run tuberculosis sanatorium, where many of the patients are poor immigrants. The nurse who'd admitted him to Tamarack State was right: he needed more clothes, and he came to miss the heat he'd so hated when he arrived. The leaves turned color, far earlier than he expected; the rain and wind poured through the long windows, kept open day and night; he was constantly cold, he was freezing. Some of us had relatives who arrived on visiting days with extra clothes or treats, but he had no one, and nothing he'd brought was right. He learned to be grateful for the worn but heavy garments grudgingly doled out to the indigent patients — which, he learned, included him. What he couldn't learn, despite being chided again and again, was to stay still. He spoke to anyone near him, tossed, turned, sneaked out of bed to pick up a magazine he saw on a table at the end of the ward, and then read it, surreptitiously, beneath the covers. The nurses barked at him and Dr. Petrie came to speak to him. "Why can't you behave?" our assistant director said. "Don't you understand how sick you are?" "I hate this," Leo said passionately, glaring at the doctor's small figure. With his crisp dark hair and pointed beard and small oval spectacles, Dr. Petrie resembled the inventor Charles Steinmetz, minus the hunchback. Not quite five feet tall, Leo guessed. No doubt with problems of his own. He yielded his left wrist to Dr. Petrie's thumb and first two fingers. "Your lungs," Dr. Petrie said, his gaze averted while he counted the beats of Leo's heart, "have little pockets of infection scattered through them, which your body is trying to wall off. Right now the scar tissue around each pocket of germs is fragile, like a spider's web." He dropped Leo's hand. "If you move suddenly, or take a deep breath or stretch your arm — like you just did, when you reached for your pillow: don't do that — you break the scar tissue and let the germs escape. And then they make new spots of disease, and we have to start all over again. You seem like an intelligent man. Can't you understand that?" "Of course I can," Leo said, "but until now no one's bothered to explain the point of lying here like a corpse." With half a smile, Dr. Petrie said, "We'll try to keep you better informed." By mid-September his temperature was down, his cough had improved, he'd gained six pounds, and the nurses let him walk to the bathroom and sit, for a little longer each day, on a cure chair on the infirmary's porch. Not since first running away from home had he been so alone, for so long. One day an orderly took him in a wheelchair down the lift, through a tunnel, and into the X-ray facility beneath the dining hall. In the gloom he stood stripped to the waist, bending and turning as the technician instructed, holding his breath and then exhaling, perfectly aware what an X-ray was from his studies in Odessa, but unfamiliar with this particular apparatus. That the technician was a woman struck him as odd, as did the purple glove on her left hand and the angry sores on her right. "Am I going to die?" Leo asked. "Much of what happens now depends on you," the doctor answered. Always, they pretend it's up to us. "Curing is a full-time job. But you've made good progress, and there are signs that the cavity is already beginning to shrink. We're going to transfer you to the men's annex next week. You'll be allowed a little more movement, once you're there. But you'll still have to be very careful." On a Wednesday morning in October, an orderly took Leo down in the lift from the fourth floor of Central, wheeled him through the corridors and across the covered walkway, and deposited him on a porch off his new room, on the second floor of the men's annex. Two cure chairs nearly filled the sliver of open space: one of them waiting for him. Company, Leo thought, as eager to meet the figure lying in the other chair as he'd once been to meet a woman. His heart raced as he introduced himself. "Ephraim Kotov," the man responded, waiting patiently as Leo arranged himself and struggled with his blankets. Beyond his toes and the wooden railing, Leo saw forest stretching to Canada, ranks of trees marching up hills and down, nearly black where they were shadowed by clouds, and the color of his childhood in between. "In Minsk I was Kotovachevsky," his new roommate continued, "but here I am cut-off. Kot-ov." He held out his hand. "A little joke. Welcome." "Thank you," Leo said, reaching across for Ephraim's palm. Ephraim, who like the rest of us had been speculating about Leo during his weeks of isolation, said, "That was Hiram's chair. Yours now, though; he passed last week. Do you play chess?" "Too bad. Hiram was good at it." Leo stretched his legs, wondering what else Hiram had been good at. What he'd liked and disliked, how he'd died. Should he apologize for taking Hiram's place? He looked back at the forest, seamed here and there with a birch. Below, a train pulled into the siding and tiny figures moved across the platform. For them, he must be a speck in the dog's right eye. "I came here from New York," he said. "You too?" "From an apple farm near Ovid," Ephraim answered. In response to Leo's puzzled gaze, he added, "One of those little towns in central New York, near the Finger Lakes, named after classical places and writers. Troy, Ithaca, Homer, Virgil . . ."
"A Jew from Minsk, in the middle of farm country," Leo said with a smile. "How did that happen?" Quietly — conversation has always been forbidden during rest hours — the two men leaned toward each other and, breaking the first of many rules, settled in to talk. 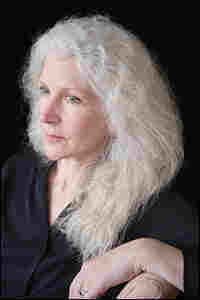 Reprinted from The Air We Breathe by Andrea Barrett. Copyright (c) 2007 by Andrea Barrett. With permission of the publisher, W.W. Norton & Company, Inc.